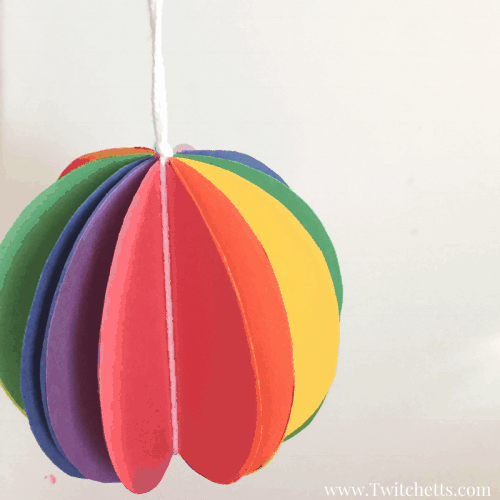 Rainbow Spheres are the perfect addition to our construction paper crafts for kids. 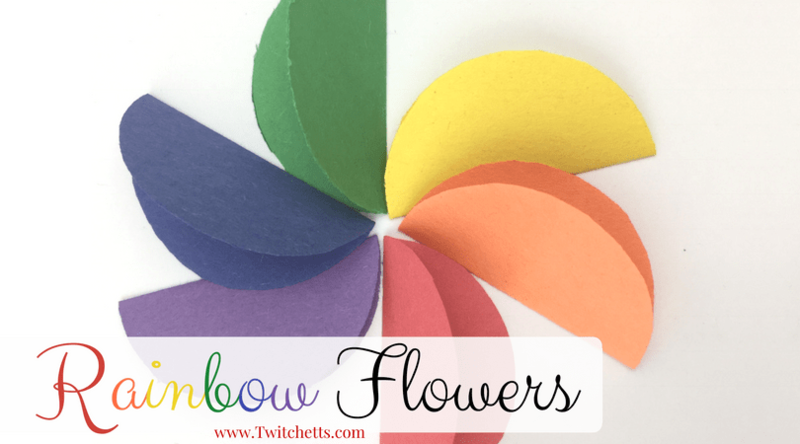 From bookmarks to shamrocks, my kiddos are loving all of the fun rainbow crafts we have been doing lately. 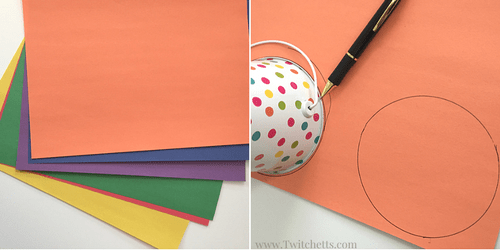 Creating these paper balls is great scissor practice for little ones, so you can squeeze a bit of learning to the activity! 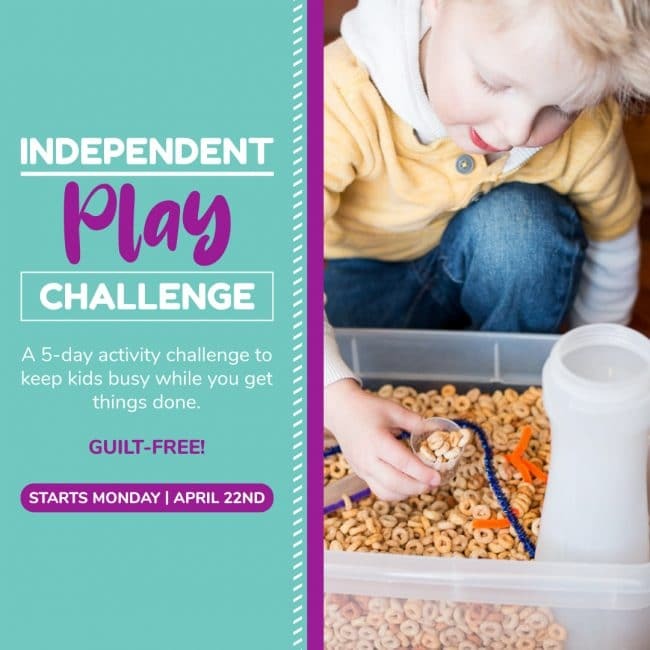 Disclosure: Some of the links in this post are “affiliate links.” This means if you click on the link and purchase the item, we will receive an affiliate commission. Thank you for supporting Twitchetts! A few weeks back we purchased a pack of construction paper. 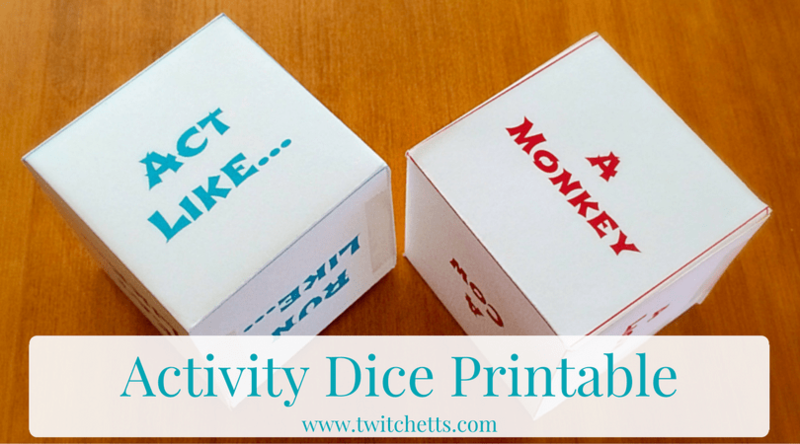 Now we are seeing how many fun ideas we can get out of one pack of paper and this is another success! 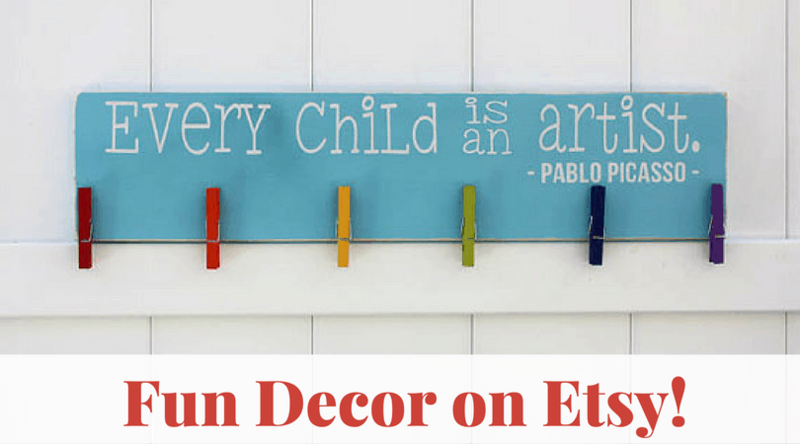 Hang them as a mobile, put them in a decorative bowl, or let your little one blow them along the floor. 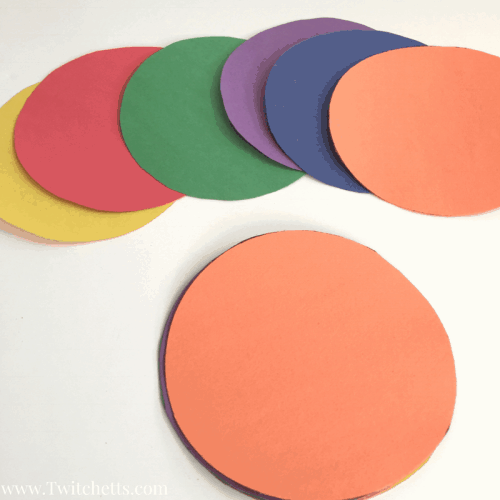 If your child is old enough, you can let them help you cut out the circles. 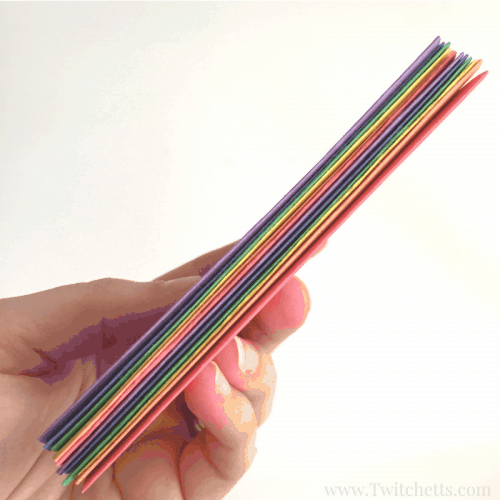 Construction Paper. 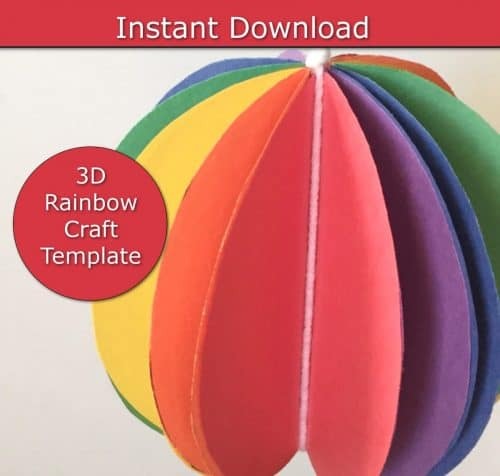 One sheet of each color of the rainbow. 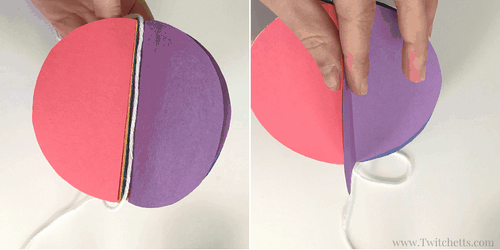 Make this paper craft easier with our template!! 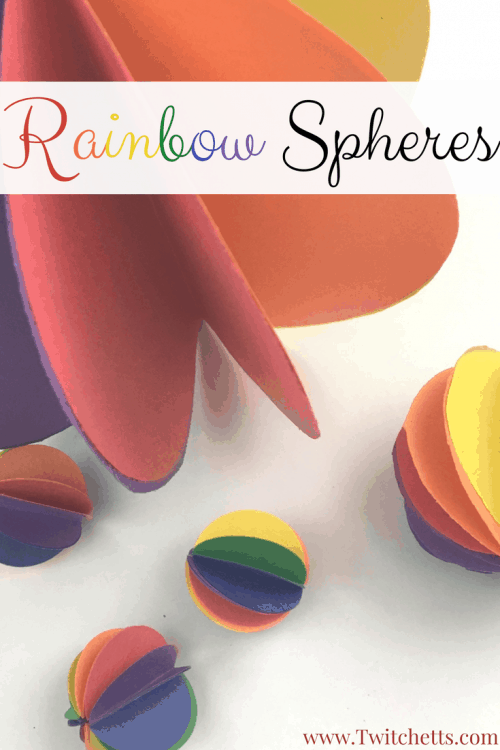 This printable rainbow sphere template makes it easy to do this craft with your classroom or at your kitchen table. 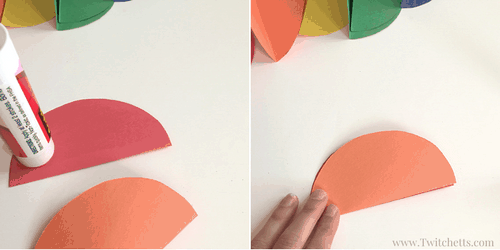 Watch this quick video to see just how easy these construction paper crafts are to make! 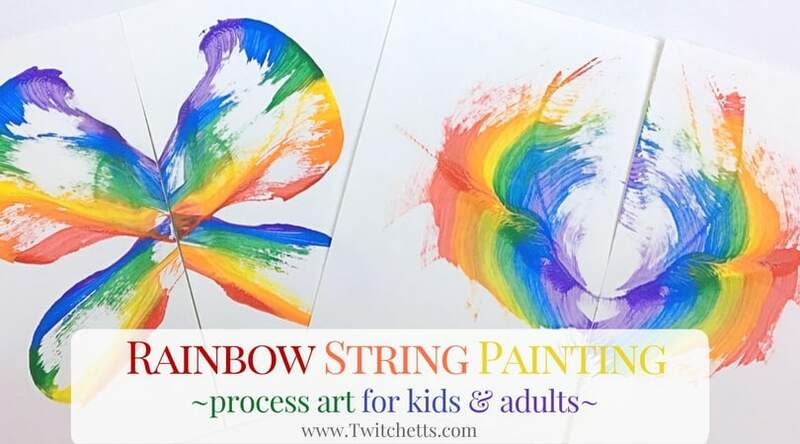 If you enjoyed these rainbow spheres, you’ll love these!